I’ve spent the past five years of my life serving as Education Director for Wright-Locke Farm, and the experience has been nothing short of incredible. But even now, five years into this journey, I am often asked, “What exactly do you do? What is farm education?” I think many who are not familiar with farm-based programs may assume that “farm ed” only relates to training programs for new or beginning farmers. 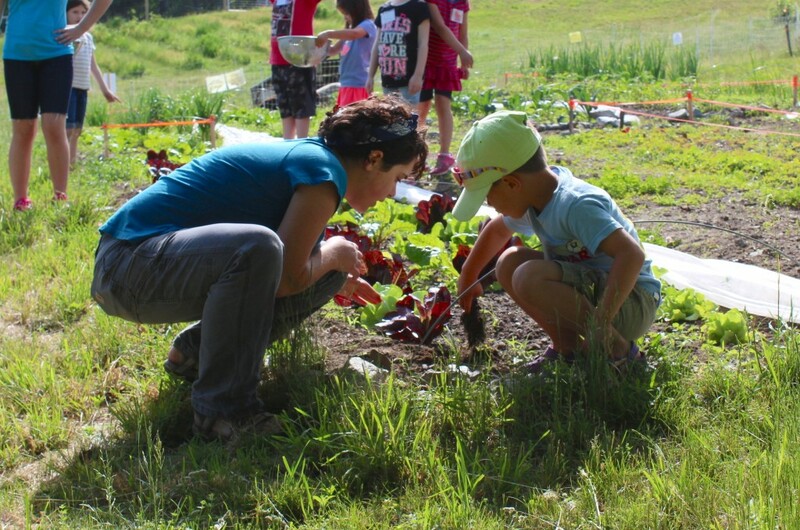 Though this is certainly one form of it, farm education programs at Wright-Locke and many other small farms are typically geared towards the non-farming population of children, teens, and adults that make up a farm’s community. We may not all be farmers, but we’re all eaters, and the majority of us could use a little guidance when it comes to eating more locally and seasonally. Farm education gives farms a means to communicate to their customers both the knowledge and skills necessary to make better food and lifestyle choices, especially when it comes to growing or incorporating more fresh fruits, veggies, herbs, and other local foods into your diet. Ideally, one’s participation in farm education will start as soon as possible during childhood, when our brains are absorbing all sorts of new information and we’re starting to develop skill sets, opinions, and habits- some of which may last a lifetime. While the desire to eat more healthfully can occur at any time in one’s life, it is evermore apparent how critical it is to develop these goals and habits when we’re young. Childhood and adult overweight and obesity rates are at an all time high in America and many other countries around the world, and their effects are not limited to clothing size; many chronic conditions and diseases are directly linked to maintaining an unhealthy weight or eating an unhealthy diet, and the ability to reverse or lessen these negative effects is often much more difficult than our ability to prevent them through diet and lifestyle choices. Children who start eating fruits and vegetables at a younger age are more likely to continue to do so throughout their childhood, into their teens, and then during adulthood. 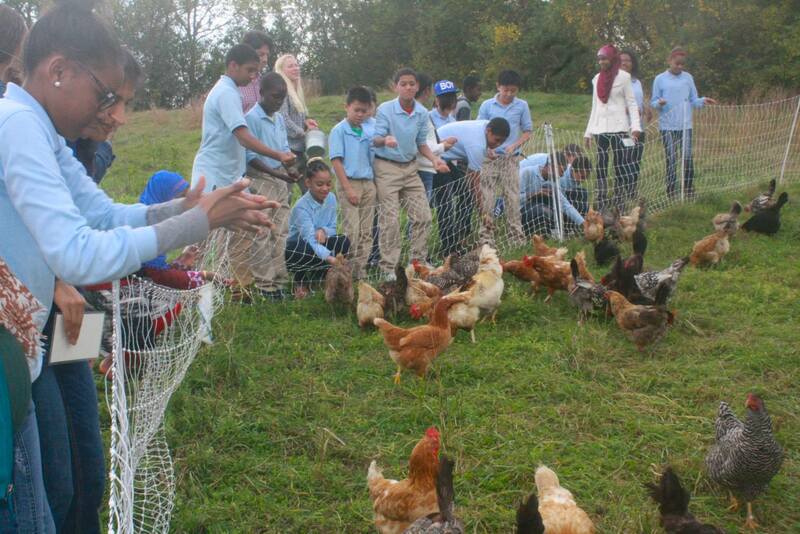 Farm education programs serve a crucial link between consumers of all ages, producers of farm products like fresh produce, eggs, dairy, and meats, and the food-consciousness and health of our society. 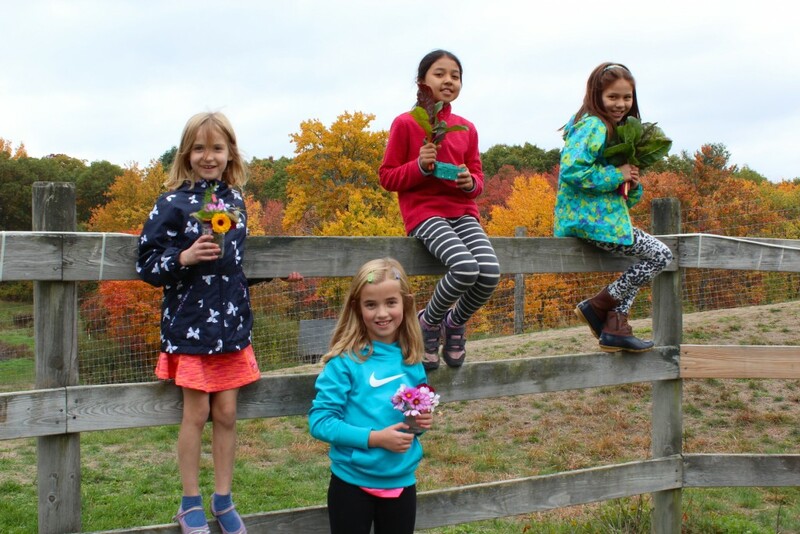 Wright-Locke Farm’s youth education programs offer children a unique hands-on experience learning about growing food, cooking, and the natural world on a historic working farm. 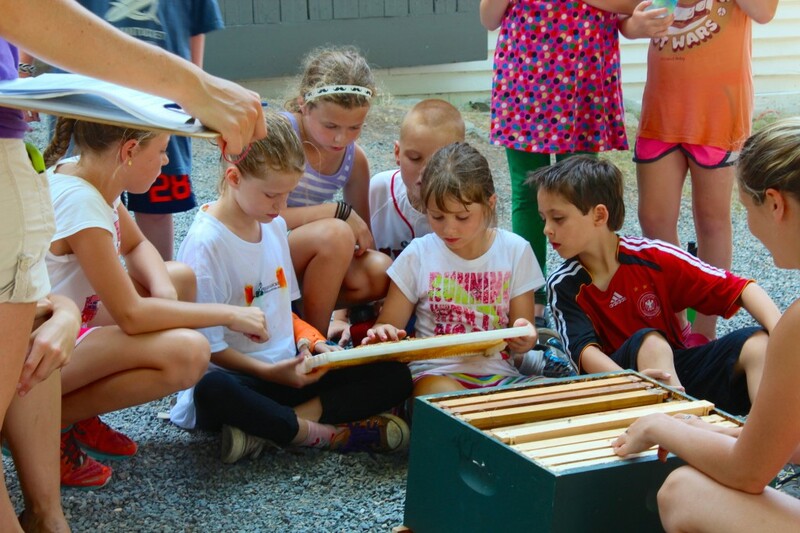 All of our programs include lessons and activities related to agriculture, healthy eating, the environment, or natural science while utilizing the fields, pastures, barns, and wooded trails as our living classroom. 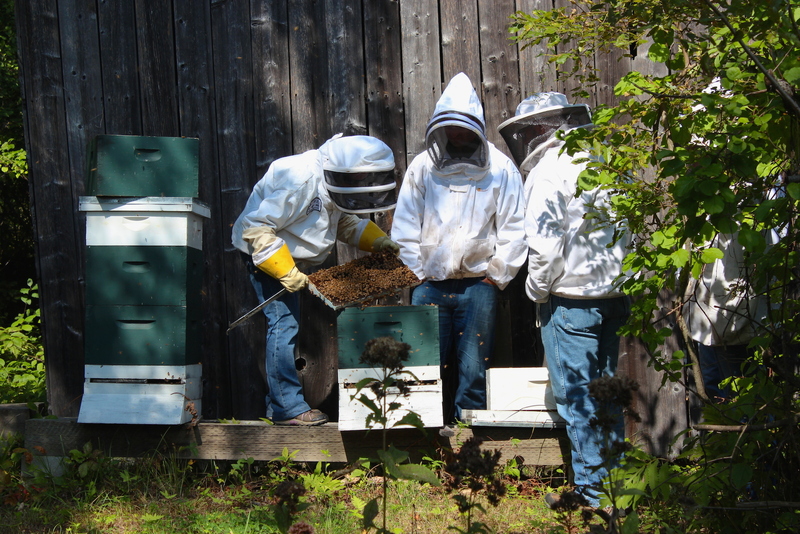 Though we spend plenty of time focusing on subjects such as soil, compost, worms, plants, honeybees, Wright-Locke Farm’s domesticated animals (sheep, goats, chickens), land conservation, farm history, and local wildlife, we always include a healthy farm or season-inspired dish during our youth programs. Some days, this might mean simply going to one of our two organically-grown youth gardens to pick and snack on some of the harvest, be it Sungold cherry tomatoes, Mexican sour gherkin cucumbers, or purple, yellow, and green bush beans; other days, it means following a recipe to prepare a healthy dish together, using fresh foods from the garden, our farm fields, or the local farmers market. Whether it’s dehydrated kale chips, raw fruit and greens smoothies, overnight refrigerator pickles, salsa fresca, raw strawberry-rhubarb fruit leather, plant parts salad, or another of our favorite seasonal recipes, I’m always impressed by how much our youngest audience seems to enjoy picking, preparing, and eating these creations or sharing them with their parents (if there’s any leftover, of course). Time after time, I hear parents saying, “they would NEVER eat that at home!” or “I can’t believe my son/daughter ate that.” Even more exciting is when we hear about our youth participants cooking up veggies they harvested at the farm, or cooking up a farm recipe at home to share with their family. They may not realize it, but these kids are developing a taste for health-promoting foods, an opportunity that too few children seem to have but desperately need. In a world riddled with cheap unhealthy foods marketed directly to impressionable youths, it’s our responsibility to teach kids about the many nutrient-rich foods that local farms provide us throughout the seasons and how to include them in our daily meals. Farm-based education provides the perfect outlet for this type of teaching, learning and habit-forming, since program participants get to either directly witness or actively participate in the growing, harvesting, and preparation of seasonal fruits, vegetables, and herbs into a delicious meal, side dish or snack. But this type of education is not limited to youth audiences only. As the saying goes, it’s never too late to teach an old dog new tricks. Teens and adults often need just as much guidance as our youngest students when it comes to improving their diets with the inclusion of more fresh foods and healthy cooking techniques. Wright-Locke’s educational workshops for teens and adults are a great way to learn practical skills related to healthy living, small-scale “backyard” agriculture, and the wonders of nature. 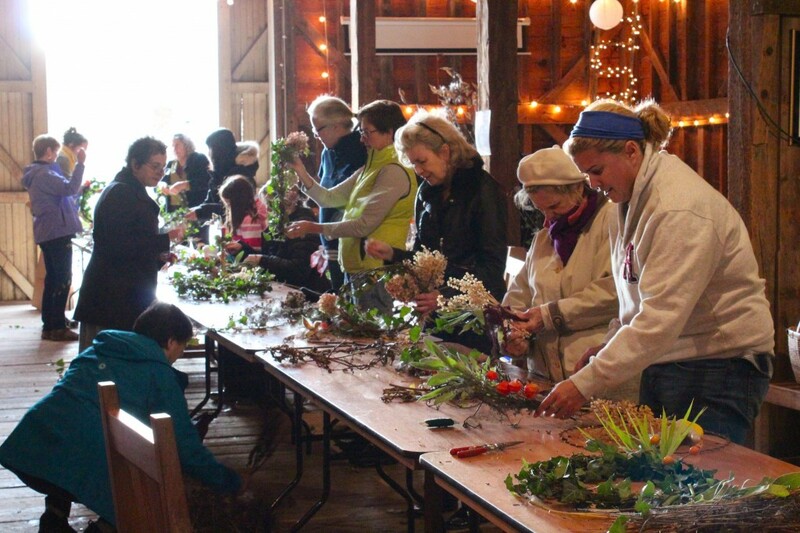 Though we host a number of programs featuring subjects like yoga, herbalism, home composting, bouquet and wreath making, stargazing and more, the majority of our workshops are directly related to growing, foraging or cooking up local and seasonal foods. Whether it’s fermenting your own sour dill cucumber pickles, kraut or kombucha, cooking and canning some homemade jam or apple butter sweetened to your taste, making nutrient-rich stocks and soups from scratch, raising backyard hens for eggs or bees for raw honey, growing your own gourmet mushrooms, or creating delicious dishes featuring just-picked veggies and herbs… our workshops strive to connect people not only to our farm and its landscape, but to local and seasonal foods of all kinds- from the farmers market, your own home garden, or even the wild forageable areas of your community and beyond. We have experienced amazing growth in our educational program offerings and audience over the past five years, and we are passionate about our desire to continue growing so that we can offer an even larger variety of programs and reach even more audiences. But the farm’s existing infrastructure is extremely limiting in terms of what we are able to offer in our short but very busy seven-month program season, currently running from April through October (truth be told- we’re so busy, we’re starting to book some programs and events in early November). Between our organic agriculture, education programs, special events, fundraising, and farm stand, we have all functional farm buildings and fields in full use; due to our many activities and increasing number of staff and volunteers, we often have to share workspaces, tools, and supplies. The only sheltered space available for programs and events, named the 1827 Barn after the year it was built, is spacious and gorgeous no matter the time of day, but it’s not heated and does not have a certified kitchen for the many food-based workshops and activities we do. Our current business model has worked to get us where we are today, but cannot sustain the growth we seek. 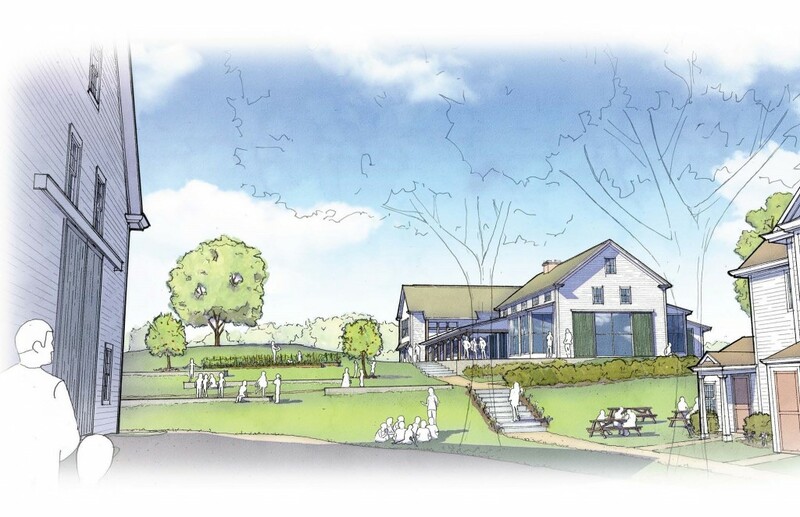 The only reasonable solution to our roadblock is the creation of a year-round program and event facility. A climate-controlled building with a certified kitchen would not only give us more dedicated spaces to utilize for our current activities; more importantly, it would grant us the ability to offer a wider variety of programs for a more diverse range of audiences, all year long. Wright-Locke Farm Conservancy has received an incredible amount of support from the community over its almost ten years of existence. Contributions of all kinds- be they monetary, material, or good ol’ “sweat equity”- have been critical in our transformation from a simple pick-your-own raspberry plot to a bustling non-profit community farm with activities for everyone to enjoy. We hope that this amazing farm community, which has already done so much to help us achieve successes both small and large, will continue to work with us towards our goal of establishing a year-round facility to enable further growth of this extraordinary institution. You can learn more about our farm’s vision and how you can help us “Cultivate our Future,” here.